Every few months, a CSSM forum reader asks how to set up a continuously-invoked slider callback: Matlab’s slider uicontrol invokes the user callback only when the mouse button is released, and not continuously while the slider’s thumb is dragged. This functionality was again referred-to yesterday, and I decided it merits a dedicated post. Where myCbFcn is the Matlab callback function that will be invoked continuously when the arrow buttons are depressed or the slider’s thumb is dragged. % when the thumb is released. % when the mouse is released from dragging the slider thumb. In this case, hScrollpanel is merely a handle to a panel in Matlab’s imscrollpanel code. You can use any Matlab control to store the listener handle, including hSlider itself, which would be simplest. It doesn’t matter where or how exactly you store hListener, since you will not use it directly in your program. The important thing is just to store it *anywhere*, so that it remains in persistent (heap) memory. As long as the reference handle is “alive”, the listener will keep working. This is explained here. In addition to ‘PostSet’, we could also listen on ‘PreSet’, which is triggered immediately before the property is modified. There are also corresponding ‘*Get’ options. Do you know of any other way to achieve continuous callbacks? If so, I would be delighted to hear in the comments section below. another functionality that would benefit from continuous callback is figure resizing. For example, it would be useful to allow for figure resizing, but only to a certain minimum size. Since ResizeFcn callback is only evaluated once the mouse button is released, ‘jumping’ from, for example, very small resized windows to the desired minimum size cannot be avoided. The other problem with figure sizes and resizing is that Matlab only knows the original screen size. This leads problems if the screen resolution has been changed on the way, for example due to connection to a projector. Can these be solved with some java magic? Note that if you have multiple concurrent monitors this gets a bit trickier. @Yair – thanks, good to know it cannot be done. @Matt – excellent, works and detects changes in screen resolution. which does seem to return correctly updated info. To be precise, I didn’t say it cannot be done, only that I personally have not found a way to do it. I actually tend to think it can be done somehow. Problem is that if the JTree’s slider position changed fast (e.g. via mouse wheel usage), strings inside the listboxes are not in their correct positions or displayed twice. The listbox strings are updated via “myExpFcn” and “myColFcn” and contain correct data. Does anyone know of this display bug/problem/whatever? And updatetextbox looks like this in a separate file (i.e. once it registers a slide movement, execution should jump inside updatetextbox and give me keyboard access, so I can at least see what inputs it got – but it does not happen (probably because I defined the listener inside, at the OpeningFcn level?). In this case, I think as the whole namespace disappears once this instance of the function runs through, the listener disappears with it, too. % So what arguments did updatetextbox get? Phew. Now, on to the “interesting” question. How can I “package” this up into the GUI itself (which was, as said, created by GUIDE, so I can’t just put the listener line after the creation of a uicontrol object. Using a script, which launches the GUI, then contains the above commands in chronographical order? I chose GUIDE because the fact of not having to set uicontrol object positions and sizes by coding but graphically is very easy and fast for me. Was that silly, and is that the reason for all the above suffering? (i.e. once one needs something past very basic funtionality – e.g. continuous slider callback – GUIDE is NOT the way to go? In case there WAS anyone who followed through my “troubleshooting”, thanks, any further advice for a noob like me highly welcome. You can do this in your main code – no need to use the Command Window. The reason it worked for you in the Command Window is that the handle.listener result was kept in the ans variable, so as long as ans was not changed the listener worked. I see, makes sense! I put your 2 lines of code into my function’s OpeningFcn, the Callback function back at the bottom of the main GUI .m-file and it all works now, thanks! Sorry for polluting the thread with such a looooong entry! Thanks again, I even ended up using the “Donate” button. I don’t do that often, so you can be sure of seeing me here again! I created a GUI using guide with two sliders to adjust image window and level. When I use setappdata to my slider object a new figure is created when I started to use the slider. My image is displayed in the new figure instead of my current GUI figure. Any idea why this is happening. Your help is appreciated. Thanks. @Cemil – this could be due to several reasons: My bet is that your figure has a hidden handle (HandleVisibility=’off’) and in your callback function you are using the gcf function or some other similar function that creates a new figure in such cases. Instead, use the actual figure handle that is available in your handles struct and ensure that you pass this handle to every function that could possibly need it (axes etc.). Thank you very much Yair. That was a great help. I changed HandleVisibility of the figure from its default value ‘callback’ to ‘on’ and the problem is solved. I appreciate your help. Any suggestions for me, pls ? Thank you for your quick reply. That worked. Hope you can maintain this site for a long time. Your blog is just wonderful and helps me a lot these days in getting somewhere with my thesis. Thank your for your good work! @Jonas – these are essentially the same, except that addlistener adds the listener in a hidden property called Listeners__, rather than in the similarly-hidden ApplicationData property (which is what setappdata does). The actual place where the listener is stored does not matter. It is only important to store listeners together with the listened object, so that they both have exactly the same life-span. Both of these methods do that, by storing the listener in one of the object handle’s properties. 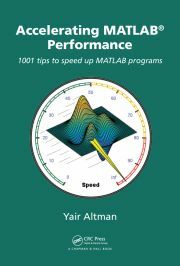 The source code for addlistener is not available in the latest Matlab releases (it’s implemented as an internal function), but it is available and inspectable in Matlab releases up to 2008 (e.g., C:\Program Files\Matlab\R2008a\toolbox\matlab\uitools\private\addlistener.m). This source code is not long (only ~30 code lines) and it’s interesting, so I recommend looking at it. A short update form my side – as I now run on R2011a. The new Version of Matlab (R2011a) gives me a warning that I should not use this method anymore but rather use: a “ContinuousValueChange” Event. Now, val contains the actual slider value, because the AffectedObject-property holds the desired slider control, from which we can obtain our slider-value. Hi, Thank you for posting this nice solution. But I have some troubles using it in GUIDE. Everything works out fine except that the callback function on mySlider is always called twice! The first time, hObject passed from callback function is the slider itself; The second time the hObject = uicontrol. I’m trying to pass handles in this callback function, but in the case when hObject = uicontrol, the data in handles never got updated. This is the real problem that troubles me. Thanks a lot Yair :). clean and neat solutions. What exactly is ‘hScrollpanel’ in your “Using an event listener” option? I am trying to replicate your code, but I do not know where you got this ‘hScrollpanel’ from..thanks. It doesn’t matter where or how exactly you store hListener, since you will not use it directly in your program. The important thing is just to store it *anywhere*, so that it remains in persistent (heap) memory. As long as the reference handle is “alive”, the listener will keep working. This was explained here. From your blog, I learned a lot. What you are talking about in this blog is event listener within a gui . however, if a listener is set to slider in the main gui, update text in the child gui ​​in the response function of the listener , how to do it? I’m troubled. In the response function ,obtaining handle of the child: handles = guihandles (sub); then use the set function, but doesn’t work, why? Moreover, the slider in the main gui has listener response function and callback function , when dragging with the mouse, how these two functions work together? @Young – I suggest that you read and experiment with Matt Fig’s GUI examples to understand how Matlab GUI callbacks work. What are the arguments passed into the ‘AdjustmentValueChangedCallback’ function? I saw them mentioned somewhere, here on this site or in your book, but I can’t seem to find them again. @Bill – it’s exactly like any other Matlab callback function. It accepts an object reference as first input arg, followed by an eventData object (that includes information on the triggered event). You can also specify additional extra parameters. See the official docpage in the previous link for details. Also read my description of Matlab callbacks for Java control events. @Yair Thanks … I noticed some quirky behavior and I don’t know if it’s something I forgot to do or just what is going on. I also noticed that the AdjustmentValueChangedCallback was called multiple times when I clicked inside the slider or moved the slider button. @Bill – Java sliders have different model values for the slider than Matlab. Since you have my book, look at page 418. You simply need to convert between the increment and min/max values using a simple linear transformation formula. But I really don’t understand why you’d want to do this if you can simply listen to the event at the Matlab level using the addlistener technique that I explain in this article. @Yair … I’ll try that approach. I am new to matlab and I need your help please. I have several subplots in a collum then I create an horizontal slider to see better some parts of the subplots data. meanwhile I create a patch to be able to select a region (selecting band) of the subplots and extract the data. My problem is that I want to drag the selecting band(as I drag the mouse it increase or decrease de selection area) and by doing that I need that the slider adjust its position, even more important I need to be able to adjust the plot horizontally as the selection region increase to the right (like if I press the slider button) or to the left. Basically when I increase the selection band to the right or to the left I need that plot behaves like I was pressing the slider buttons to the right or to the left. Iam lost about how to perform this can anyone help showing me some possible code to achieve this? @Amindo – perhaps ScrollPlot on the File Exchange will help you. If not, then contact me offline (by email) for a a consulting proposal. Well, for some reason TMW has elliminated the ‘ContinuousValueChange’ event for the sliders in R2015a, an it will not work in this version…. Even worse, there is no comparable event that one could think of using. Yes! Fewh, my code will still works with some changes. Actually, my code was written defensively, checking explicitly that ‘ContinuousValueChange’ is in the list of events in a handle… the result is that the code refuses to create the listener to an apparently non available-event. Thanks for pointing me to your list of events in HG2: it is the only source of information I can use to harness events! I think that I can solve the problem if I can converte the x coordenate obtained thru the get(gca’CurrentPoint’) to the slider scale. There is a easy way to do this? Thanks Seif – I clarified the post text accordingly.